Vietnam has become one of the most attractive places to teach English. The stunning scenery, rich culture, tropical weather and proximity to many other exotic travel destinations has aided to making Vietnam such a popular place to live. When you take into consideration the comfortable lifestyle, affordable standard of living and decent salaries you will realise that Vietnam is one of the most profitable places to teach English – almost more-so than Korea. 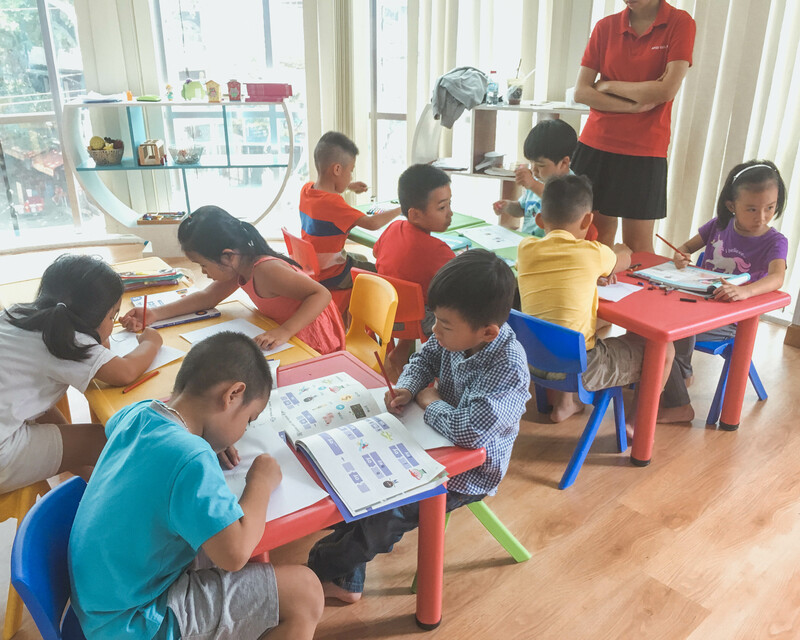 Successfully finding a teaching English job in Vietnam is not challenging though many people, including me, find the process of job hunting in Vietnam daunting and overwhelming. Fear not as this guide will point you in the right direction of where to find a teaching English job in Vietnam. With lots of teachers considering jobs in Vietnam, the competition is increasing. Thankfully for everyone reading this, there is still demand due to a high turnover of English teachers who are interested in short periods of employment. The bad news is that teachers who find themselves in great positions tend not to give them up easily. Therefore when applying for teaching positions you will need to make sure you stand out from the crowd in order to land one of these great teaching positions (which of course you want). Before you start applying for teaching English jobs you should consider creating an eye-catching CV. This needs to showcase your skills and explain their relevance to teaching. Don’t worry if you don’t have any teaching experience, the key is to focus on how your past work experience can be related to teaching and the transferable skills you have. For example: have you ever trained someone at work? Done public speaking? Worked or interacted with non-native English speakers? These are all things which are relevant and you just have to word them from the right angle. Some general CV tips include trying to limit all your information to one or two pages, include useful contact details (i.e. your Skype handle), a professional photo and double-double-check your spelling and grammar – particularly important considering you’re applying to be an English teacher. And of course, don’t forget to include details of your TEFL certification under the education section. If you don’t have any experience but want some to strengthen your application then try reaching out to local schools in your home country or charities who provide English lessons. I was able to put a little bit of experience on my CV which will have undoubtedly helped to secure my job so quickly. But don’t panic if you don’t have experience! Many companies will still consider your application. If you are in the Edinburgh area, why not volunteer as a teaching assistant with The Welcoming, a cultural integration charity for refugees in Scotland. What are the requirements for teaching English jobs in Vietnam? More often than not these criteria are required for the work permit process which is why companies request them upfront. While most schools ask for native English speakers, those who have native fluency of English will also be considered by most companies, at least in our friends experience. Don’t have some of these requirements? Do not panic! There are still opportunities, you just have to be aware that the job offers might not be as great as someone who has all the paperwork to get a work permit. The jobs you are likely to be able to find will not be legal as the 4 year degree and TEFL are required for the work permit and to therefore work legally. Where to find a teaching English job in Vietnam? This is the bit that throws most people – where do you actually find a teaching English job? Funnily enough I found my job through Facebook, as do many people living and working in Asia! Once you start looking for them you’ll discover that there is a plethora of Facebook groups dedicated to living and working abroad, with each country having its own groups. Recruiters actively use these Facebook groups to post job vacancies with details and an email for you to apply via. Doing a quick Facebook search for “teaching jobs in __” will point you in the right direction for finding some of these groups. Aside from Facebook groups, Dave’s ESL Cafe is a great place to find a jobs teaching English around the world (and also has some useful resources for teaching). If you have a browse, you’ll find that most of the jobs posted are on BOTH Daves ESL Cafe and the Facebook Groups. If you’re looking for international school work then you should join some more specific Facebook groups that target international teachers. Alternatively if you feel like you need a bit more support you could start searching on the job site for the company you completed your TEFL qualification with – most offer one. I did my qualification with TEFL.org who have a job site available. Do I need to be in Vietnam to find a teaching job? The quick answer is no, you do not need be in Vietnam to find a teaching English job – it’s almost better for visa reasons that you are not (then you can arrive on a business visa rather than a tourist visa). In my case, I applied, interviewed and secured my positions a month in advance via Skype which was great for getting visas sorted and having the security of knowing I had jobs to arrive into. But there definitely are benefits to applying from within Vietnam too. For example some companies/recruiters are perhaps not willing to take the risk that you’ll actually book your flights if there is a suitable alternative already in the country. Also, jobs tend to get snapped up quickly and often with a short period before the start date, which could be another perk to being in the country when interviewing. Related Post: Why do I teach English in Vietnam? When should you start looking for a teaching job in Vietnam? As mentioned, there is a high turnover of teachers within teaching English positions in Vietnam so there are always English teaching jobs on offer. I recommend starting your search a few months before you plan to move/start which will give you an accurate idea of what sorts of jobs are available and what the benefits are. Start applying and make your interest known to companies you would like to work for, even if they aren’t specifically hiring or are looking for immediate starts (of course disclose your full situation in your cover letter so you don’t waste their time). If you’ve succeed in creating that eye-catching CV then you’ll be on their radar when they next need a teacher and hopefully they’ll contact your first! When I first applied my company were recruiting for an immediate start, which I couldn’t do. However, a few weeks later they contacted me to let us know they needed teachers for the time I was planning to move to Vietnam and would I still be interested. Erm, yes! Easiest job offer ever. When is the best time of year to find a teaching English job? Unless you plan on working at an international school (which follows regular school terms with breaks over Christmas and summer) then you can apply at any time of year. There is a constant turnover of teachers leaving and new ones arriving so jobs are always popping up. TIP: Try interviewing for a range of different types of jobs before accepting, so that you know for sure that what you are signing up for is best suited to you! See! Finding a teaching English job in Vietnam isn’t so scary after all! If you have any more questions about the process of applying for jobs in Vietnam I would be happy to help! Just pop them in the comments or send me a quick email and I’ll do my best to help you! I hope this guide has been useful in pointing you in the right direction of how to find a teaching English job in Vietnam. Why do we Teach English in Vietnam? If you are interested in living and working in Vietnam and looking to find a good job with a reputable company, please reach out. My company is expanding rapidly and subsequently have a high demand for new teachers! I’d love to put you in touch with the recruiters. Such a clear lay-out, I really appreciate how you’ve simplified the steps for a tricky process! Thanks Kelly! I’m glad you found it clear to follow! I highly recommend trying to get some experience at home before you leave then! You should reach out to local schools and any charities that provide lessons to see if you can volunteer with them. And then I suggest focusing on wording your CV to show off skills that are transferrable 🙂 Good luck with the hunt! Hi Jeremy, I would follow the steps outlined in this blog post; it will help you find your own job. This is not a recruitment page so I cannot help you.